Awaited Magnum Cafe in Malaysia is officially open! 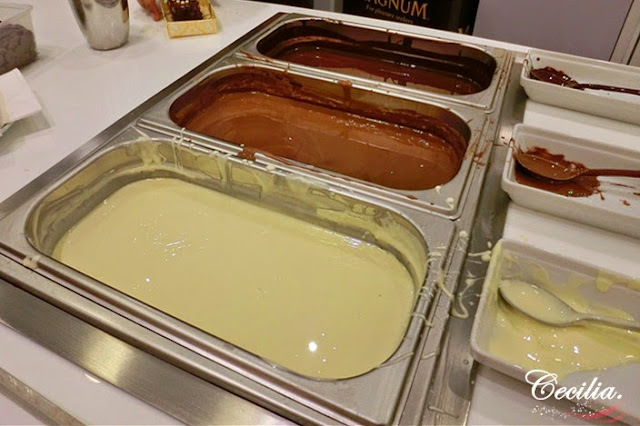 As you might already known, Magnum ice cream is generalization of premium Belgian chocolate ice cream. Unable to be the first 500 customer to get a free Magnum ice cream on the opening day but finally have a chance to getting try after a long queue! 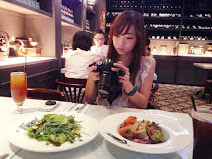 Taking some picture while queue up, thanks for the photo took by Joanne while I queue up at the time, lol! 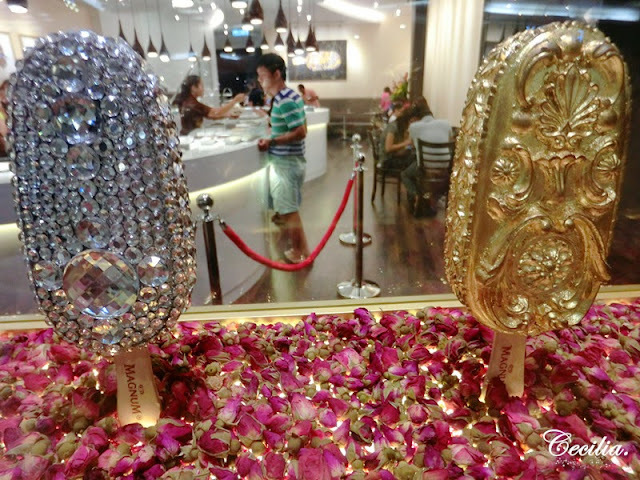 All the Magnum ice cream being pamper with beauty "cloth" and highlight the luxury of the Magnum. 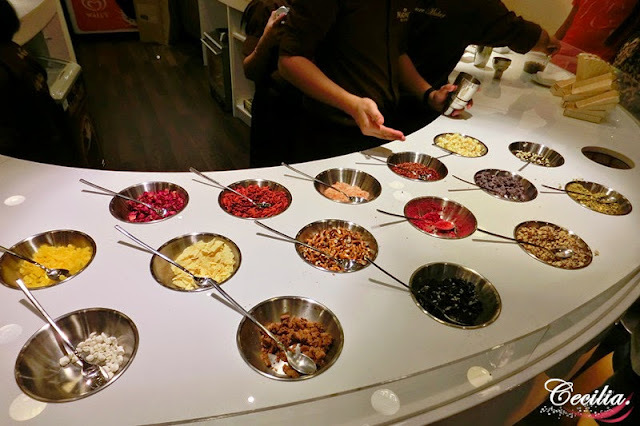 Alright, is our turn to make our own ice cream. 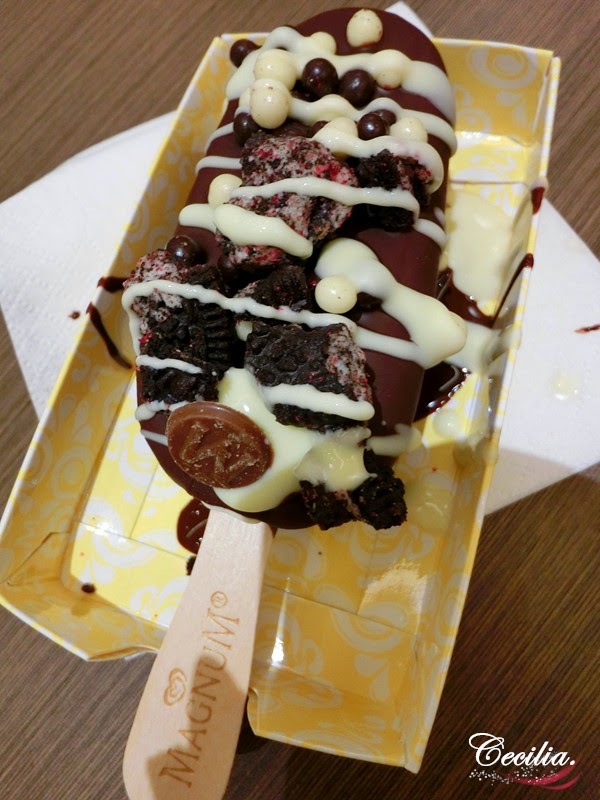 Firstly, you have to choose your naked Magnum ice cream before go for toppings, coatings and drizzles. They are vanilla and chocolate brownie. Here have a plethora of topping to let you choose, they also have ready made if you have no idea. 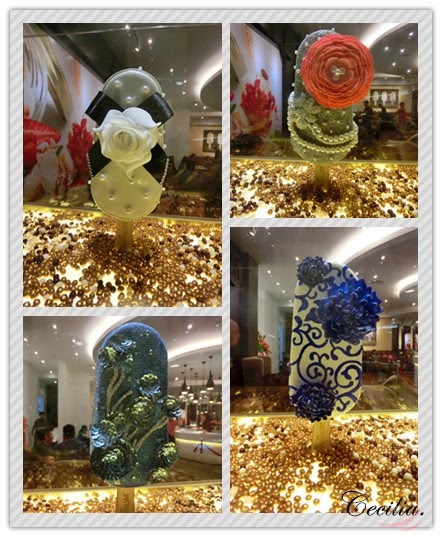 I choose one from the menu and customized another one. Classic vanilla ice cream coated with dark chocolate and white dizzles, with toppings of crushed oreo. 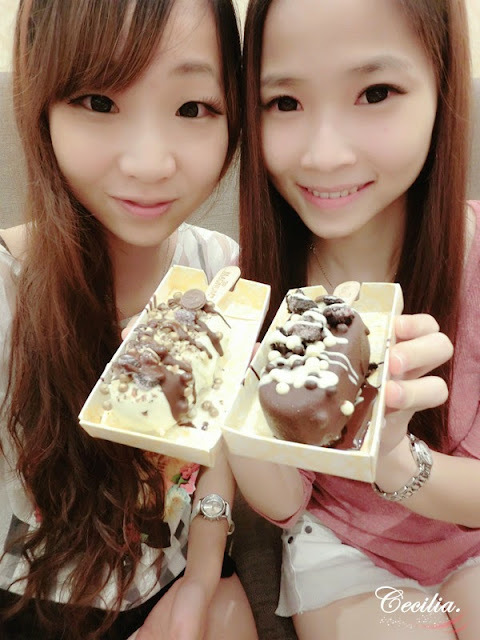 Of course selfie before take our Magnum ice cream. Loved our DIY Magnum ice cream after half an hour of long queue. 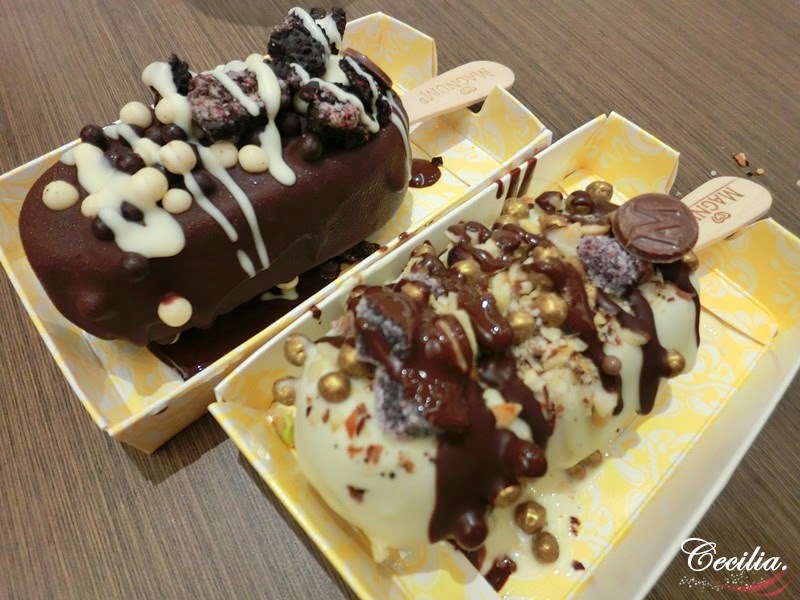 Magnum Ice Cream is cost at RM9.90 each and choose for 3 toppings for your own. 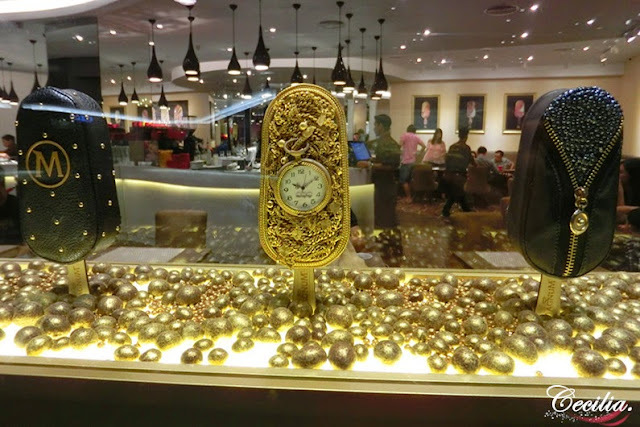 There will be another Magnum Cafe open in IOI City Mall at Putrajaya soon. 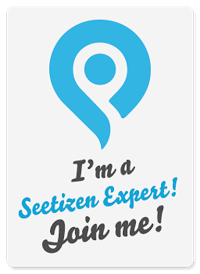 For more information do visit their Facebook.